What is the short-circuit switching (making / breaking) capacity? Home / Technical Articles / What is the short-circuit switching (making / breaking) capacity? The switching capacity is the r.m.s value of a current at a given power factor cos φ as well as a given rated voltage at which a switchgear or a fuse can still shut-off under specified conditions in an operationally safe way. Both the short-circuit making capacity as well as the short-circuit breaking capacity of circuit breakers must be larger than or equal to the prospective short-circuit current at the place of installation. If this is not the case, then a suitable backup protection (for example a fuse) should be provided to ensure the required switching capacity of the device combination. Data regarding devices for backup protection are given in the technical documentation. The rated short-circuit making capacity Icm is a quantity that according to regulations must be in a certain ratio to the rated ultimate short-circuit breaking capacity Icu and that has to be guaranteed by the device manufacturer. This is not a variable that must be considered by the user, however it ensures that a circuit breaker is in the position to connect onto a short-circuit – and to disconnect it subsequently. ICU is the maximum breaking capacity of a circuit breaker at an associated rated operational voltage and under specified conditions. ICU is expressed in kA and must be at least as large as the prospective short-circuit current at the site of installation. 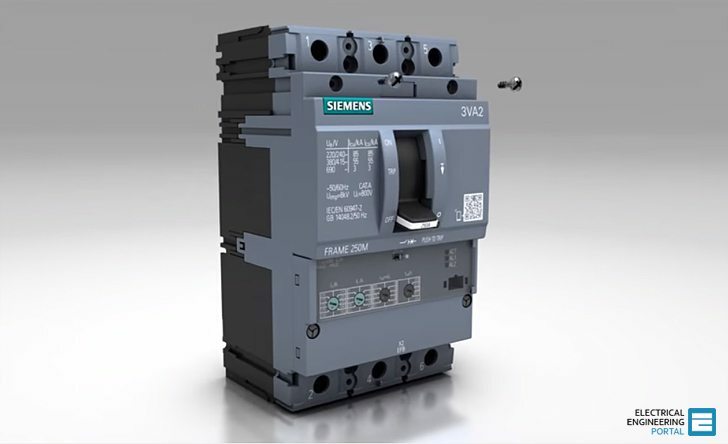 Circuit breakers that have switched-off at the level of the ultimate short-circuit breaking capacity, are reduced serviceable afterwards and should at least be checked regarding functionality. There may be changes in the overload trip characteristic and increased temperature rise due to the erosion of contact material. ICS values are usually lower than the values for ICU. Circuit breakers that have been switching-off at the level of the service short-circuit breaking capacity continue to be serviceable afterward. In plants in which interruptions to operations must be kept as short as possible, product selection should be carried out based on ICS. The same applies to fuses as to circuit breakers with respect to the ICU: at the given rated operational voltage, the rated breaking capacity must be at least as large as the prospective short-circuit current at the site of installation.